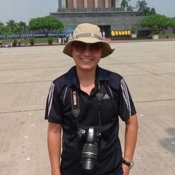 Traveler Reviews for Private Tour in Hanoi, Vietnam by Tour Guide Alex N.
Alex is an excellent guide. His English is very good. He was flexible at what museums we wanted to see. We decided to choose the Military History Museum over the Ethnology Musuem that we did not regret. He took us for lunch to a charity cafe and helped us to choose dishes. The spring rolls served there were very delicious! I only wished we could see the Imperial Citadel rather than going to the place that sells paintings. This should be communicated well in advance. Overall, I highly recommend Alex. I had a 2 days Private Tour with Alex. As our time in Hanoi was short- its was great to have Alex plan our holiday .He speaks Eng well and planned a great itinerary , took us for wonderful meals including a visit to the oldest coffee shop for a cup of lovely egg coffee. The second day had cycling through the village and a sampan ride which was fun. Also gave us good recommendations for places for meals and shopping. I wouldn't hesitate to use him again next time I come to Hanoi. Excellent guide with outstanding local knowledge and great English skills. We had an wonderful tour with Alex and would highly recommend his services! We did a tour with Alex in June 18. He tailored the tour to our requirements and we had a terrific day. He arranged a vehicle and driver for the tour as well as taking us to a restaurant for a delicious lunch. It was extremely hot (41 degrees) so we ended the day with a cold drink together. We requested this at the last minute and Alex was happy to oblige �� Alex is very knowledgeable and communication is easy as Alex speaks excellent English. We recommend Alex for your tour. We were extremely happy with Alex during our recent trip to Hanoi. His knowledge and communication skills are excellent and has a very pleasant personality. Alex is extremely professional and has sophisticated manners. He went the extra mile to make sure we were happy. We would certainly use Alex again if we travel back to Hanoi again. Alex was great. He had a wealth of knowledge and was very personable and enjoyable to spend the full day with. Alex is easy to work with and flexible on adjusting itinerary. We did a full day city tour and enjoyed a great local lunch at his recommendation. He shares great stories and gives you all the time you like at each stop. Very happy we booked with Alex. Alex spoke good English, and was personable, knowledgeable, and pleasant. He took us to all of the places on our agreed itinerary. The car was nice. For lunch, he took us to a restaurant, ordered our meal, and left; the bill was $18 for two, which seemed high for Hanoi. Later he took us to a place that was selling paintings. I wonder if he was getting a commission from these two places. At the "Hanoi Hilton," he explained how humanely and well the American POW's had been treated. Alex is extremely friendly, knowledgeable and professional. We appreciated his flexibility in our itinerary, which included the foremost historic spots of interest as well as Hanoi's contemporary street culture. 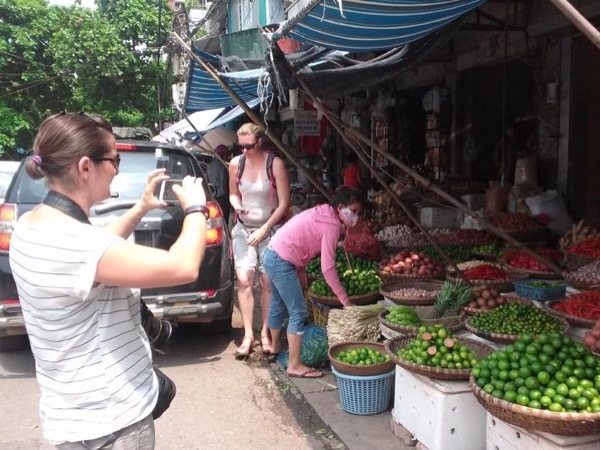 A great introduction to Hanoi. Alex is friendly, knowledgeable and a very good guide. We thoroughly enjoyed our tour which was customised to our individual needs including a later than normal starting time. The driver and car provided were also very good. Alex customised a tour for us, a group of six aged from six to 77. We visited all the places on our wish list within flexible time frames to accommodate all interests. Alex is a knowledgeable guide who relates well to people. He was professional and accommodating. We were especially impressed with the way he chatted to a six year old - he was a hit with us all. We will definitely contact Alex if we return to Hanoi and recommend him to anyone.